Product review portal Reviews42, run by Delhi-based Solvy Tech Solutions Pvt Ltd, has raised an undisclosed amount in Series A from Nirvana Venture Advisors and Rahul Khanna (managing director of Canaan India who has invested in his personal capacity), as well as a few other undisclosed individual investors. Existing investor Blume Ventures also participated in this round. Although the amount was not disclosed, a source close to the development shared that it was between $2-3 million. The company raised an undisclosed amount in the previous round of funding from Blume Ventures and VentureEast in June last year. However, VentureEast has exited the company in the latest round. Post the deal, Rajan Mehra and Amit Patni from Nirvana Ventures joined the Reviews42 board, along with Karthik Reddy from Blume Ventures. Reviews42 is a community-based product review site, co-founded by Surjendu Kuila and Neeraj Jain back in 2011. It works by aggregating user reviews across a variety of categories including computers & accessories, mobile phones, home appliances, apparels & accessories, baby products, kitchen ware and more. 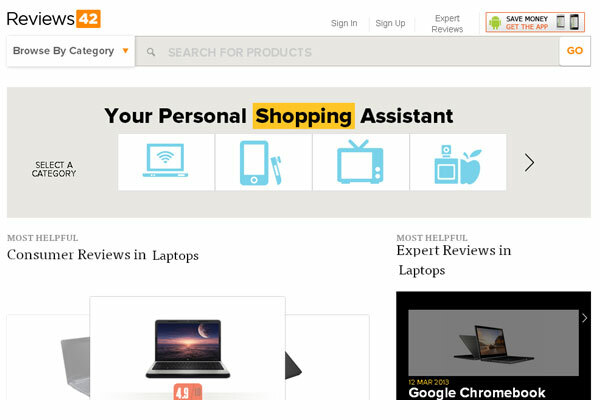 Reviews42 enables users to browse and search through products by brand, categories, features and pricing. Besides offering a detailed specification page along with user reviews, expert reviews, buying tips and overall ratings, it also features a price comparison engine. The funds raised will be utilised to enhance the product catalogue on the portal and integrate technology for servicing offline retailers as well, said Kuila. The company has also introduced an Android app while its Windows and iOS apps will be rolled out within a few weeks. "We are very focused on building the product and integrating offline retailers this year. And we should start the same by June this year," Kuila told Techcircle.in. According to him, the company is working on the technology to integrate offline chains like Croma and Vijay Sales. "Users will be able to find their product catalogues and reviews on our site as well," informed Kuila. Initially, Reviews42 would like to focus on organised offline retail stores, he added. Apart from lead generation and advertisements, content syndication with other e-commerce portals or classifieds is another source of revenue for Reviews42. According to Kuila, around 500 reviews are submitted to the site on any given day, but due to the firm's curation standards, half of them would usually get rejected. "We have seen 300 per cent growth in terms of reviews on our site. Also, as per analytics, users are spending around 3.5-4 minutes on our site," shared Kuila. Other players in the product review space or the price comparison business include MouthShut, Naaptol, Amazon-owned Junglee, Compare India and PricesBolo.